In this free, full day guided field trip, students visit three separate natural habitats located within the City of Winnipeg's boarders. Mornings are spent at the Living Prairie Museum. A short presentation is followed by storytelling with a local elder. 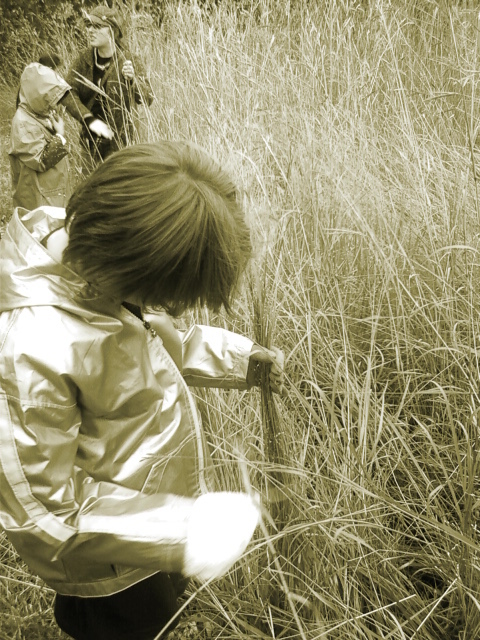 Students then have a chance to explore the tall grass prairie preserve. Afternoons hikes at the Assiniboine Forest are spent exploring parkland forest and wetland. Field trips are offered FREE of charge on select days throughout September, October and April. Bridging the Gap will also cover the cost of transportation once the bus reimbursement form has been filled out and submitted. Ensure students are adequately dressed for outdoor weather and that students bring their lunches. All programs are offered on a first come, first serve basis. Due to the size of the Living Prairie Museum and number of interpretive staff we are only able to accommodate a maximum of 40 students per field trip. To book a field trip with Bridging the Gap, please see our calendar for available dates and fill out the field trip booking form. After field trips, teachers and students are asked to fill out program evaluation forms. Field trips are currently only offered to grade four classrooms or grade four splits in qualifying neighbourhoods. Find out if your classroom qualifies.